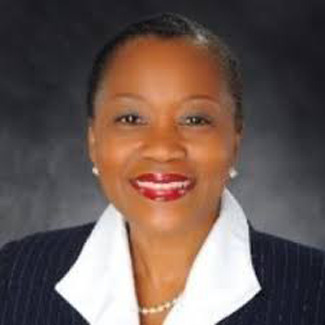 As she prepares to transition from Tarrant County College District (TCC) in Texas to assume the leadership of Delaware County Community College (DCCC), Dr. L. Joy Gates Black reflects on changes in the community college sector. Gates Black has been tapped to lead DCCC, an institution serving 28,000 credit and non-credit students at nine locations in Delaware and Chester counties in Pennsylvania. She will be the first African-American and first woman to lead the institution, which was founded more than 50 years ago, and will succeed Dr. Jerry Parker, who is set to retire on June 30 after leading the college for 14 years. Community colleges serve a wide variety of student interests, from general education courses to workforce specific certificate programs. Their course offerings are often tailored to meet local workforce needs. As the labor market rapidly evolves, so must community colleges in order to meet the demands of business and industry, Gates Black said. Given the depth and breadth of their offerings, community colleges see a wide variety of students of all ages and backgrounds. Some might be dually enrolled in high school and college and others seeking an associate degree and to transfer to a four-year institution. Others still might be returning to school after an absence, for either a GED, diploma or certificate. At DCCC, for instance, the average student is 26 years old. Gates Black does not see the diversity of student background and experience currently prevalent at many community colleges changing any time soon. “Our mission is broad and increasingly varied,” she said. At Tarrant, which has an enrollment of 100,000 credit and non-credit students, Gates Black currently serves as the vice chancellor for academic affairs and student success and formerly served as the interim president of the college’s South Campus. Despite the difference in the size of the two colleges, Gates Black sees multiple parallels between the institutions in terms of their agendas. Both have earned a Leader College designation from Achieving the Dream (AtD), a nonprofit organization that started as a 2004 initiative from the Lumina Foundation. Colleges earn the designation if AtD determines that they are committed to closing achievement gaps. They maintain a Leader College designation for three years. Gates Black said that she has been aware of AtD since its early days. San Antonio College, where Gates Black was dean of student affairs and served as an adjunct faculty member, was one of the first 13 AtD Leader Colleges. “While we will miss the expert leadership and stewardship of Dr. Parker, we believe that Dr. Gates Black’s extraordinary track record in prioritizing and driving student completion represents a perfect fit with the College and our new strategic plan,” Michael L. Ranck, chair of the college’s Board of Trustees, said in a statement. Gates Black pointed to DCCC’s strategic plan as one of its strengths, because it clearly articulates the college’s goals and challenges. According to the most recent available institutional data, the college has increased its fall to spring retention to 73 percent, and has implemented a series of initiatives focused on student completion. The college also faces economic headwinds, in the form of declining support from the state, and fluctuating enrollment sizes. As is the trend at many community colleges, DCCC’s enrollment increases during financial crises, such as the Great Recession, and declines when the economy improves. Gates Black has held multiple administrative positions across the country, including as vice president for student success and enrollment management at Eastfield College, assistant vice president for administration and dean of equity and diversity at Los Angeles City College, and assistant dean at Cambridge College. She has also served as an adjunct faculty member at the University of North Texas and Cambridge College, and is a U.S. Air Force veteran. Staff writer Catherine Morris can be reached at cmorris@diverseeduation.com.